Fresh from the Inbox on a Saturday no-less. I guess even artists work around the clock. Enjoy. 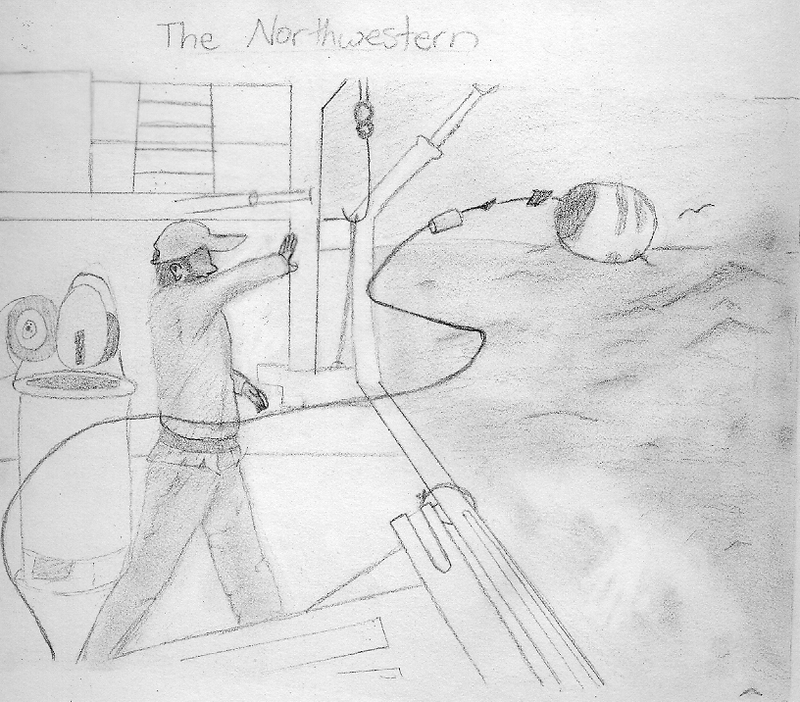 This is a drawing I made in honor of the best Fishing Vessel in the whole Bering Sea! None other than the Northwestern. I hope you guys really like it. I used a picture I found on the internet so credits to whoever owns the real picture. I was first inspired by watching the Memorial Day special, after drawing a picture of crab fishing off the top of my head, I got the idea to draw an even better one. I soon found your website and realized that I could send the picture to you. That’s what kept me going on this drawing. Since I am getting a chance to write, I want to say a quick word to Sig and Edgar. Sig: You really rock the boat. You seem like a really down to earth guy and haven’t let all the cameras and fame get to your head. I admire that about you. It seems whenever I watch the show I get a laugh from you. Hope you are doing well and good luck with the fishing! Edgar: You are also awesome! You are also really down to earth like Sig. Just a while ago I was watching a YouTube video of Sig putting the boat in reverse and you did an awesome double take and threw a crab at the wheel house! That made me bust out laughing. Stay awesome and have a good season.